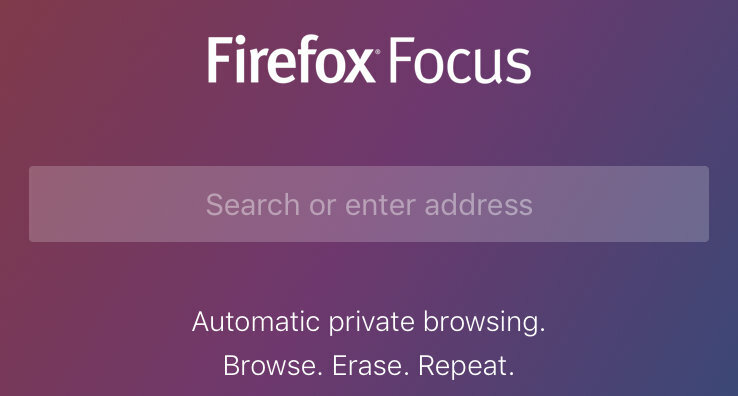 Last year in November, Firefox launched a free private browser called the Firefox Focus only on iOS meant to provide some privacy on the restricted platform. Web browsers today are an end-point to everything we do on the Internet. That’s where we initiate a process of which turns out to be a Web App, Video, Blog or a lot other stuff. Web browsers now have evolved to provide a personalised experience. With custom profiles, autofill forms, remembering passwords and quite useful add-ons. But don’t you think they take too much from you? Do you care about private data? I’m sure everyone should maintain a privacy amongst themselves. After all, not everything is meant to be shared with everyone. 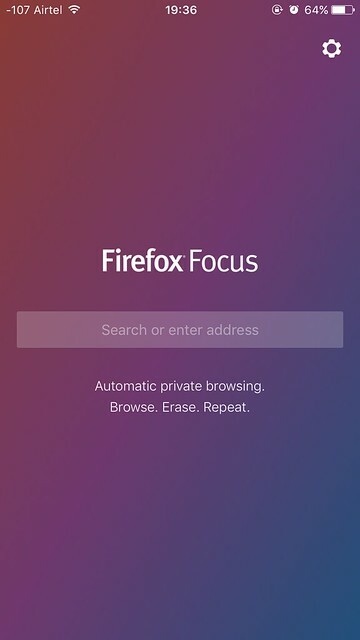 With the same idea in mind, Firefox launched a private browser, Firefox Focus for iOS platform. 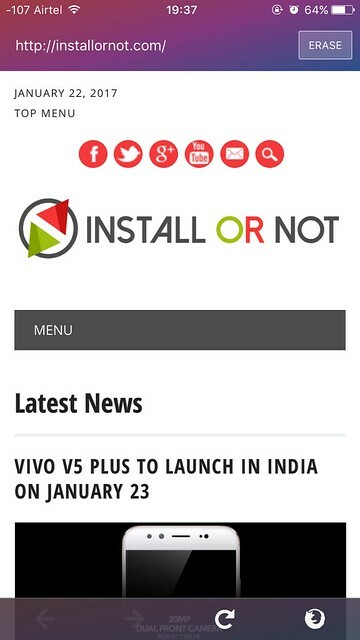 I’m not sure why they chose iOS only but it is a good idea indeed. Firefox Focus is one web browser meant to work without tracking its users. 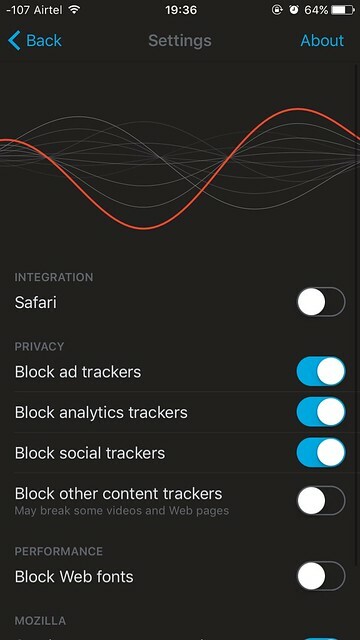 It blocks all advertisements, web trackers and anything which hampers the browsing experience. The private browser fires up with a single Search/Address bar, No tabs, No add-ons, No profiling. Nothing. Though it performs a Google search for the query you will enter here which might defeat the purpose because we know how Google makes use of data it collects. It should have been DuckDuckGo for that sake but then search engine is still not that great yet. You just have an option to browse through one tab or tap on the ‘ERASE’ button on the right top on the address bar to clear the history. This deletes everything, Cookies, localStorage or whatever the app store on the browser to track you. You have preferences to choose from, which basically allows to integrate this privacy with Safari. Everything else is activated by default and is meant to be. What do you think about Firefox Focus? To be honest, this is not enough. If we actually about our privacy so much that we tend to install this app specifically as our private browser we need something more. This app though helps us clear out the local storage but it doesn’t protect us from traffic sniffer neither does it hide our IP address. We can use this browser along with VPN to completely hide our identity without any remains left behind. Firefox Focus is free to download and size about 11MB. It runs on iOS 9.0 and up starting for iPhone 5s. Well, we all might make use of some privacy, no? Let us know what do you think.